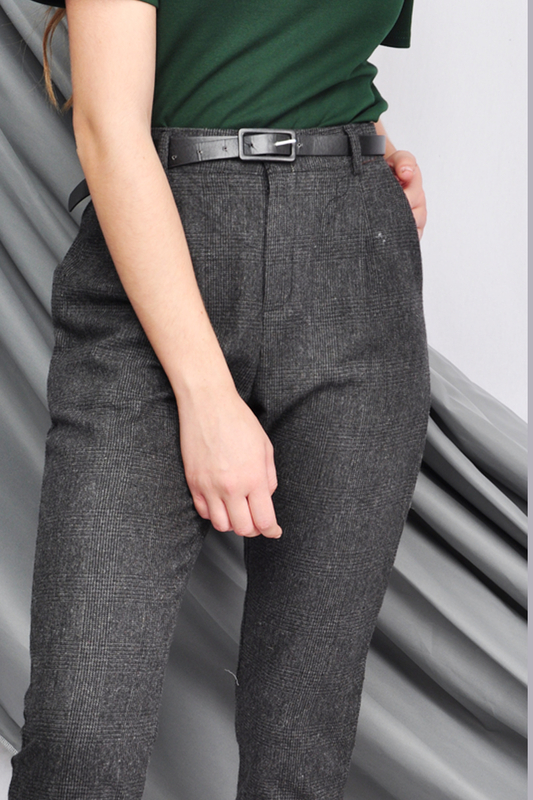 Be a trendsetter in our Remi Belted Tapered Trousers. 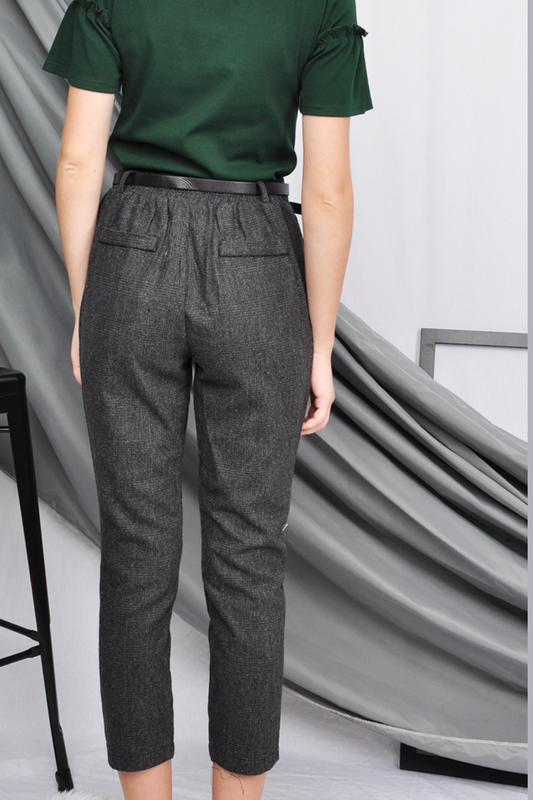 These belted trousers feature a high waisted cut, stretchy bands at the back, side pockets, ankle length, and a buckle belt. Pair these belted trousers with a flowy blouse for a perfect office 'fit or with an oversized tee for a laid-back look. This product is also available in Grey . Model D is 178cm, a UK size 6. Wearing ‘one-size-fits-all’.